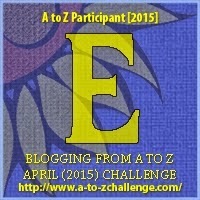 I learned something today on this alphabetical blogging adventure. I learned that the Belgian endive is not the only kind of endive and that escarole is just another type of endive. I came across this leafy green head of escarole today and was completely surprised to find out that it was a member of the endive family, because it looks so completely different from the bullet-shaped Belgian endive with which I am familiar. I also learned that the spikier, frillier curly endive we sometimes call frisee or chicory is yet another member of this family. Apparently endives, escarole and radicchios all belong to a group of lettuces known as chicories. It all gets even more confusing if you stop to think about chicory being added to coffee. I don't know which kind chicory or which part of the plant is added to coffee, but I am pretty sure it is not the ruffled leaves you see here. Anyway, I was intrigued enough to bring a head of escarole home with me to add to a salad for dinner tonight. I really liked the peppery bite it added to the other greens I used. I thought the escarole was less bitter than the frisee or curly endive I've had before. 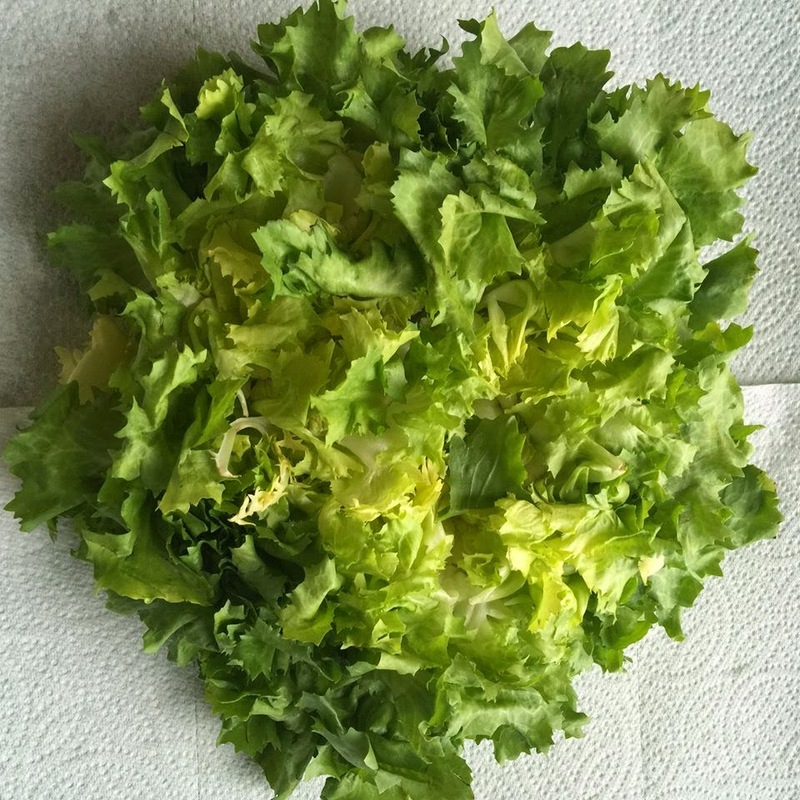 It has a soft texture very similar to butter lettuce. It was a nice addition to my salad. Additionally, escarole is apparently a powerhouse of nutrition with fiber, vitamins A and K, iron, calcium, potassium and antioxidants. I think I will be adding escarole and endive to my salads more often now. I will have to try this one. Trying to eat more salad with meals. I am a person who loves to be creative in the kitchen and always wanting to try new things. This food AtoZ inspires me.